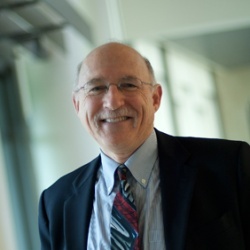 BARRY R. POSEN is Ford International Professor of Political Science at MIT, Director of the MIT Security Studies Program, and serves on the Executive Committee of Seminar XXI (http://semxxi.mit.edu/). His most recent book, Restraint: A New Foundation for U.S. Grand Strategy, was released in May 2014 (Cornell University Press 2014). He has written two earlier books, Inadvertent Escalation: Conventional War and Nuclear Risks (Cornell University Press 1991) and The Sources of Military Doctrine (Cornell University Press 1984 ). The latter won two awards: The American Political Science Association's Woodrow Wilson Foundation Book Award, and Ohio State University's Edward J. Furniss Jr. Book Award. He is also the author of numerous articles, including "The Rise of Illiberal Hegemony--Trump's Surprising Grand Strategy," Foreign Affairs, March/April 2018, "It's Time to Make Afghanistan Someone Else's Problem," The Atlantic, 2017, "Contain ISIS," The Atlantic, 2015, “Pull Back: The Case for a Less Activist Foreign Policy,” Foreign Affairs, January/February 2013, and "Command of the Commons: The Military Foundation of U.S. Hegemony," International Security, (Summer, 2003.) He is a Fellow of the American Academy of Arts and Sciences. In 2016 he was appointed Henry A. Kissinger Chair (visiting) in Foreign Policy and International Relations at the Library of Congress, John W. Kluge Center. He is the 2017 recipient of the International Security Studies Section (ISSS), International Studies Association, Distinguished Scholar Award. He has been a Council on Foreign Relations International Affairs Fellow; Rockefeller Foundation International Affairs Fellow; Guest Scholar at the Center for Strategic and International Studies; Woodrow Wilson Center Fellow, Smithsonian Institution; Transatlantic Fellow of the German Marshall Fund of the United States; and a Visiting Fellow at the John Sloan Dickey Center at Dartmouth College. Barry R. Posen, "The diffusion of power and the organization of the U.S. National Security Establishment," in Heidi B. Demarest and Erica D. Borghard, eds., US National Security Reform: Reassessing the National Security Act of 1947 (Routledge, 2018). Barry R. Posen, "The Rise of Illiberal Hegemony: Trump's Surprising Grand Strategy," Foreign Affairs, March/April 2018. Barry R. Posen, "Civil Wars and the Structure of World Power," Daedalus, Vol. 146, No. 4, Fall 2017. Barry Posen, “Foreword: Military doctrine and the management of uncertainty,” Journal of Strategic Studies, 28 December 2015, pp. 159-173. Barry R. Posen, "Pull Back: The Case for a Less Activist Foreign Policy," Foreign Affairs, January/February 2013. Barry R. Posen, "Overkill," (part of "The Containment Conundrum: how Dangerous is a Nuclear Iran?") Foreign Affairs, July/August 2010, pp. 160-163. Barry R. Posen, "Emerging Multipolarity: Why Should We Care?" Current History (November 2009) pp. 347-352. Barry R. Posen, Breakthroughs: Armored Offensives in Western Europe, 1944. With Eric Heginbotham, Nick Beldecos, Kevin Oliveau, Jonathan Ladinsky, Brian Nichiporuk, Eugene Gholz, and Ken Pollack. July 2009. Barry R. Posen, "Restraining Order," The American Interest, Vol. 3, No. 3, January-February 2008, pp. 94-97. NPR, On Point, April 1, 2019, "NATO at 70: Is It Time To Overhaul One Of America's Oldest Alliances?" WBUR, Radio Open Source, September 14, 2017, "Mutually Assured Madness." Press Conference, USA Voice of America, February 17, 2017, "US foreign policy and grand strategy,"
NPR, On Point, November 23, 2015, "Should We Go All-In On ISIS?" KCRW, Morning Edition, August 10, 2015. "Finding Friends to Fight ISIS in Syria." "Trump Aside, What's the U.S. Role in NATO?" Op-Ed, New York Times, March 10, 2019. Quoted in "Neocon-led US Venezuela policy, rhetoric trigger deja vu effect," Deutsche Welle, February 5, 2019. Quoted in "What is the Point of a Forever War in Iraq?" The National Interest, September 27, 2018. Quoted in "The White House just revealed massive mission creep in Syria. Here’s why." Military Times, September 25, 2018. Quoted in "Trump's sharp criticism of NATO's newest member has a point, but his comments are playing right into Russia's hands." New Haven Register, July 19, 2018. Quoted in "Diplomacy and deterrence are our best shots for cooling nuclear fears," Globe and Mail, January 19, 2018. Quoted in "North Korea is weak, the US is strong: Nuclear deterrence will work, if we let it," Washington Examiner, December 14, 2017. Barry Posen's New York Times op-ed is quoted in "Tell me how Trump's North Korea gambit ends," Washington Post, December 14, 2017. "The Price of War With North Korea," Op-Ed, New York Times, December 6, 2017. Quoted in "On Afghanistan, Trump Should Have Gone With His Gut," WBUR's Cognoscenti, August 29, 2017. In this sobering book, Barry R. Posen demonstrates how the interplay between conventional military operations and nuclear forces could, in conflicts among states armed with both conventional and nuclear weaponry, inadvertently produce pressures for nuclear escalation. Knowledge of these hidden pressures, he believes, may help some future decision maker avoid catastrophe. Building a formidable argument that moves with cumulative force, he details the way in which escalation could occur not by mindless accident, or by deliberate preference for nuclear escalation, but rather as a natural accompaniment of land, naval, or air warfare at the conventional level. Posen bases his analysis on an empirical study of the east-west military competition in Europe during the 1980s, using a conceptual framework drawn from international relations theory, organization theory, and strategic theory. The lessons of his book, however, go well beyond the east-west competition. Since his observations are relevant to all military competitions between states armed with both conventional and nuclear weaponry, his book speaks to some of the problems that attend the proliferation of nuclear weapons in longstanding regional conflicts. Optimism that small and medium nuclear powers can easily achieve "stable" nuclear balances is, he believes, unwarranted. Barry R. Posen explores how military doctrine takes shape and the role it plays in grand strategy—that collection of military, economic, and political means and ends with which a state attempts to achieve security. Posen isolates three crucial elements of a given strategic doctrine: its offensive, defensive, or deterrent characteristics, its integration of military resources with political aims, and the degree of military or operational innovation it contains. He then examines these components of doctrine from the perspectives of organization theory and balance of power theory, taking into account the influence of technology and geography. allows us to discover important implications for the study of national strategy today, but also serves to sharpen our understanding of the origins of World War II. Barry Posen in the New York Times: "Trump Aside, What's the U.S. Role in NATO?"